At Birmingham Fastener, we pride ourselves in being ISO 9001:2015 certified at our headquarters, our distribution center in Hanceville, and our aerospace division in Huntsville. The ISO 9001:2015 standard lays out the criteria for a company to establish a quality management system. It is used by over one million companies across the globe. There are several different types of documents in the ISO 9000 family outlining standards, but ISO 9001 is the only one in the series requiring certification. The International Organization for Standardization (ISO) is an independent, non-governmental organization. It has published over 20,000 standards and documents covering an array of industries. 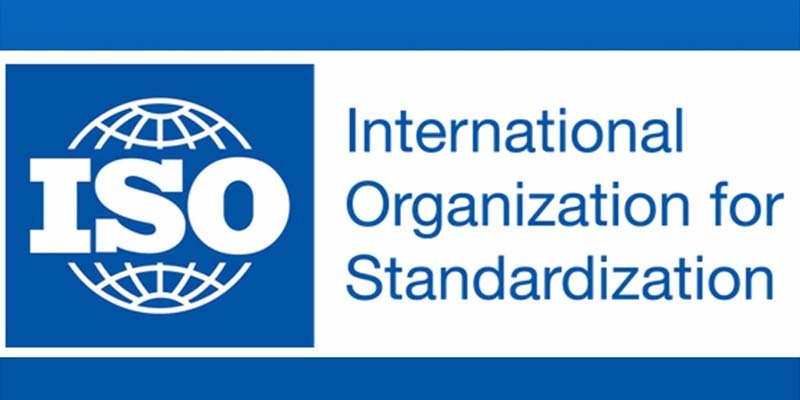 The ISO began in 1946 as a way to “facilitate the international coordination and unification of industrial standards.” ISO standards ensure that products and services are both safe and of consistently good quality. The ISO works with industry experts to develop and maintain standards in their respective sectors. ISO 9001 is a company or organization-wide standard that ensures companies are meeting their customers’ requirements for quality of products or services. ISO 9001 can improve a facility’s standards, performance, and overall quality of products. A properly functioning quality management system utilizes policies, procedures, work instructions, and forms to properly document and define the processes involved in product realization. Organizations use this standard to demonstrate their consistency in manufacturing, building, or developing their products. ISO 9001 benefits both our company and our customers. This certification tells our customers that our quality management system has been approved by an ISO registrar and continually evolves to maintain a high standard.. Our employees follow proper procedure at each of our locations to ensure our products are safe and of high quality. Following the principles of ISO 9001, our facilities are organized for optimal productivity. Having such a quality management system in place keeps us organized, which in turn provides an excellent product. Customer satisfaction is the main objective of ISO 9001. When a quality management system is exceptional, customers receive the best products and services. Anchor bolts are designed to attach structural elements to concrete. 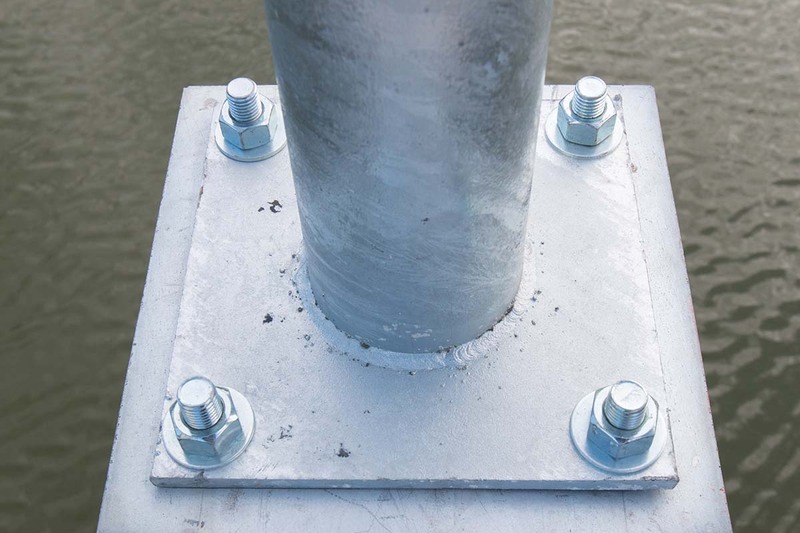 In our industry, anchor bolts are typically used to attach steel to concrete. One end is embedded into the concrete, while the opposite end is threaded to attach structural support. There are four main types of anchor bolts: L-shaped, double end rods with plate, headed, and swedge. Each type has their own uses, sizes, and advantages. Let’s go over each type of anchor bolt and how they are used in structural applications each day. L-Shaped anchor bolts are used in a variety of applications including light poles, sign structures, heavy equipment and tooling. 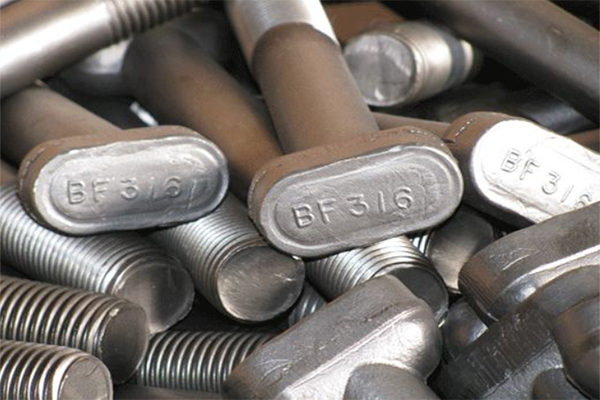 At Birmingham Fastener, we distribute L-shaped bolts in 3/8”-2.5” diameter and any length required in the following standards: A307, F1554 -36, F1554-55, F1554-105, A193 B7, 304 Stainless, 316 stainless, and any grade the customer may require. These types of anchors are double end rods with a plate washer added to one end. The plate can either be welded to the anchor bolt itself, or it can be tack welded to a nut entrenched in concrete. Plate bolts are used primarily in constructing columns for buildings, highway signs, and other applications. At Birmingham Fastener, we distribute straight with plate bolts in 3/8”-4” diameter and any length required in the following standards: A307, F1554 -36, F1554-55, F1554-105, A193 B7, 304 Stainless, 316 stainless, and any grade the customer may require. Unlike most anchor bolts, headed anchor bolts have a forged head on their unthreaded end. It is typically a hex, heavy hex, or square head. The head is embedded into the concrete to secure a variety of constructions including structural columns, bridge railing, and light poles. At Birmingham Fastener, we distribute straight with headed anchor bolts in 1/2”-2” diameter and any length required in the following standards: A307, F1554 -36, F1554-55, F1554-105, A193 B7, 304 Stainless, 316 stainless, and any grade the customer may require. Swedge bolts consist of round bar steel that is threaded on one end and “swedged” on the other. “Swedged” means one end will have multiple indentions to allow concrete to flow into them. 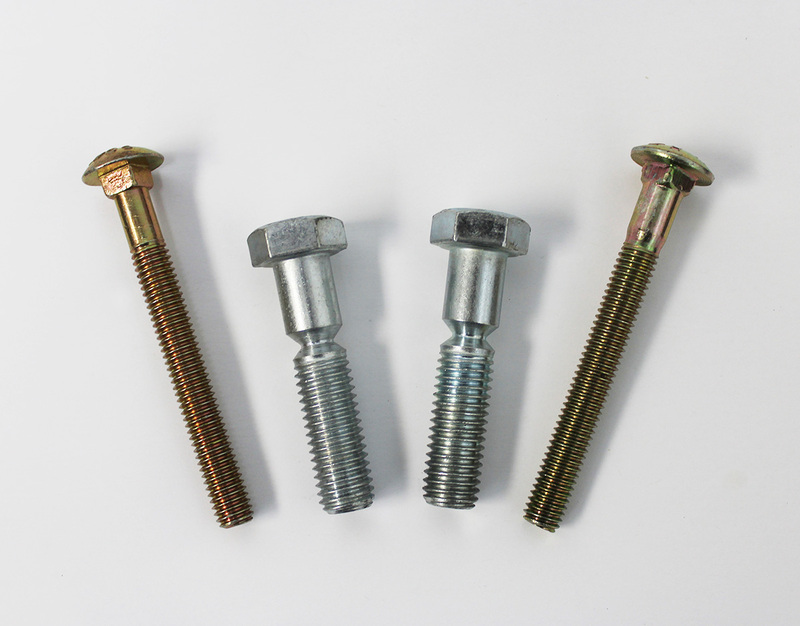 Swedge bolts are 100% domestic, as they are used to connect girders and piers. 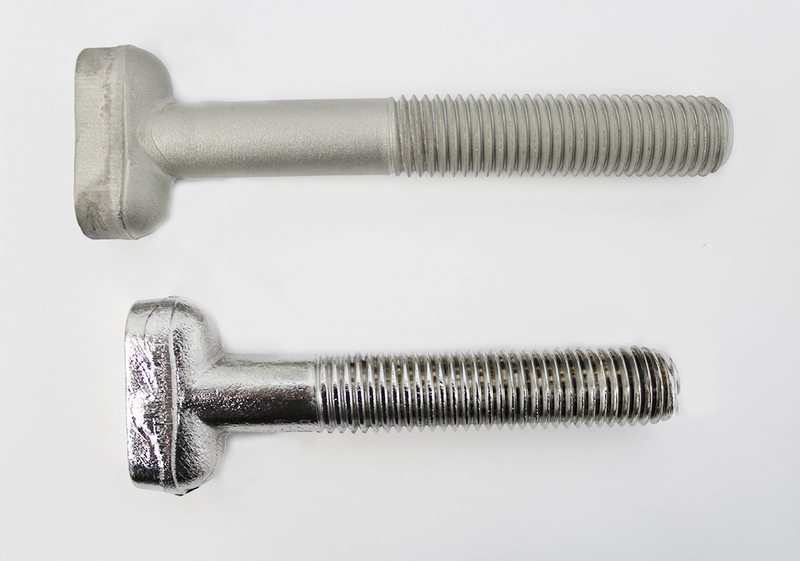 Most swedge bolts are hot dipped galvanized and come in diameters ranging from 5/8” to 4”. They are also available in other materials including stainless steel. For an easy to read chart, view our Anchor Bolts Length Chart. One of the great things about stainless steel fasteners is the intrinsic protection within the makeup of the steel. The fastener maintains a shiny, clean finish (when electropolished) while maintaining corrosion resistance. Let’s get into the meaning of stainless steel, its characteristics, and the differences in Type 304 and 316. The term stainless steel is used for a family of iron-based alloys that contain at minimum 10.5% chromium. This amount of chromium allows for corrosion and heat resistance due to the creation of a surface layer that prevents oxygen from penetrating the steel. Rust cannot form, thus making it “stainless.” Often, their composition also includes other alloys such as nickel, manganese, sulfur, or titanium. These alloys add extra corrosion resistance. In the fastener world, most stainless steel is austenitic stainless steel, commonly referred to as the 300 series. While there are many compositions that fall under the 300 series, we mostly use types 304 and 316. While they both provide excellent corrosion resistance and have similar compositions, their differences lie in the ratio of chromium to nickel and the environments they are used in. You will often hear the term “18-8” when researching the 304 series of stainless steel fasteners. 18-8 refers to the 18% chromium and 8% nickel in the steel. While many stainless materials in the 300 series have this 18-8 mixture, their chemistries and corrosion resistance do not necessarily meet that of type 304. Type 304 is the most popular of the 300 series of stainless steel, as it provides some of the best corrosion resistance in the series. Type 316 stainless steel fasteners fall right behind Type 304 in terms of popularity and provides excellent corrosion resistance. Unlike 304, Type 316 does not follow the 18-8 makeup. The chromium is lowered to 16% and the nickel is raised to 10%. Type 316 also contains 2% of molybdenum. Adding molybdenum provides superior resistance to chlorides which can cause pitting. Because of its composition, Type 316 is used in more corrosive environments where the fasteners will be exposed to chemicals, solvents, or salt water. Type 316 stainless steel fasteners are best used in applications with abrasive chemicals or direct salt spray. In other blogs, we discuss the ASTM International, what it is, and how we use them in the fastener industry. Our sales team will often refer our customers to the ASTM standards, and our team uses and adheres to them each day. For those unfamiliar, the ASTM standards may seem unapproachable, but the standards are actually accessible once you understand their organization. Let’s go over the standards, their designations, what they contain, and how you can find the right standard. After the letter, there is a reference number given to the standard. From there, a grade can be added. For example, F3125 is the standard for high strength bolts. A325 and A490 are grades that fall under that standard, so you’d call a bolt F3125 Grade A325. When reading an ASTM standard, you will usually see two numbers after the standard, like A449-14. The last two numbers signify the year the standard was updated. ASTM standards are written in a specific, organized manner. Each standard begins with the scope, which informs the reader the purpose and limitations of the standard. It then has a bibliography of referenced documents within the standard and may also include a list of any terminology used that may be unfamiliar. From there, in regards to fasteners, you will find details on everything needed to manufacture the fastener. This includes materials, mechanical properties, chemical compositions, dimensions, appearances, and testing methods. These details can also include fastener limitations, reference tables, supplementary requirements, and notes on packaging. Referring to an ASTM standard is a great way for manufacturers and customers alike to determine the right fastener for a particular job, as well recognize the advantages and limitations of a standard. ASTM International provides a comprehensive search engine on their website for over 12,000 standards. Standards are available for purchase in print or electronically. For specific questions on a standard, contact your project engineer or the Birmingham Fastener sales team, who are always available to answer specific questions about the products we sell. We’ve discussed a few different types of zinc coatings for corrosion resistance in the past. Electroplating is another way to coat fasteners to ensure corrosion resistance and improve the finish of the bolt. Electroplating, or electrodepositing, is covered in the ASTM standards F1941 and B633. Let’s go over the electroplating process, characteristics of an electroplated fastener, and the benefits of this type of coating. To begin the process, workers clean the fastener with alkaline detergent solutions before being treated with acid. This removes any rust, oils, or other impurities on the surface of the fastener. Once cleaned, the electroplating process begins through electro deposition, or submerging the fasteners into a zinc bath. There, the direct current is sent through the chemical bath, creating a chemical reaction on the fastener, thus electroplating it. Most commonly, fasteners are rack plated or barrel plated. Each have advantages and disadvantages. In rack plating, the fasteners are left to dry on a rack after the chemical bath. This allows the threads of the fastener to remain untouched, but because the fasteners are set on a rack, the fastener ends up without the coating in certain, small areas. In barrel plating, the fasteners are dried in a turning barrel. While you get full coverage of the coating, there runs a risk of nicked threads. If the fasteners are made from steel and then heat treated to a hardness above 39 HRC, they are baked to minimize the risk of hydrogen embrittlement. Once this process is complete, the fasteners are tested for coating thickness, corrosion resistance, and embrittlement. Electroplating allows for a thinner coating with a clean finish, particularly compared to the hot dipped galvanized fasteners where the coating is much thicker and requires overtapping of the nut. Electroplated fasteners are typically plated in yellow or clear zinc. The yellow zinc produces a yellow/muted gold finish, while the clear zinc produces a bright, silver finish on the bolt. The benefits are mostly aesthetic, as this finish is smooth and even while still providing corrosion resistance. It is also less expensive than some other types of coatings. A lot can go into choosing a finish for your stainless steel fasteners. The two finishing operations most industries specify for their parts are electropolishing and passivation. Today, we’ll look at these two chemical processes, learn their differences, and discuss the advantages one may have over another. Electropolishing is a chemical process that can be performed on almost all metal to remove imperfections and contaminants on the surface of the metal. The process involves submerging the fastener or other metal product in a temperature-controlled chemical bath. A current is then passed through the bath, oxidizing the surface and causing it to shed and deburr the contaminants and smooth out any flaws. The fastener comes out to a very bright finish. Not only is the steel visibly shinier, but electropolishing has greater corrosion resistance than that of passivation. Like electropolishing, passivation is also a chemical process designed to remove imperfections from steel and provide a clean finish. In contrast to electropolishing, passivation does not produce a bright or shiny finish. Passivation is designed to improve corrosion resistance on stainless steel. Passivation is effective on most grades of stainless steel, but it is not recommended for certain types of alloys. One difference between electropolishing and passivation is the pre-cleaning step in passivation. Sometimes, a pre-cleaning operation is required prior to passivation, because the process alone is not completely effective. After pre-cleaning, the process of passivation involves placing the steel parts into a nitric or citric acid bath at a set temperature and time depending on the type of alloy. The free iron and other materials on the surface of the steel is then removed in the bath. The finished product has a dull, silver colored finish. On average, passivation is a third less expensive than electropolishing, making it a cost-effective option that produces good corrosion resistance. While both methods of finishing provides increased corrosion resistance, electropolishing produces a brighter finish with better corrosion resistance than passivation. That said, passivation provides a clean finish with corrosion resistance at a third of the cost.